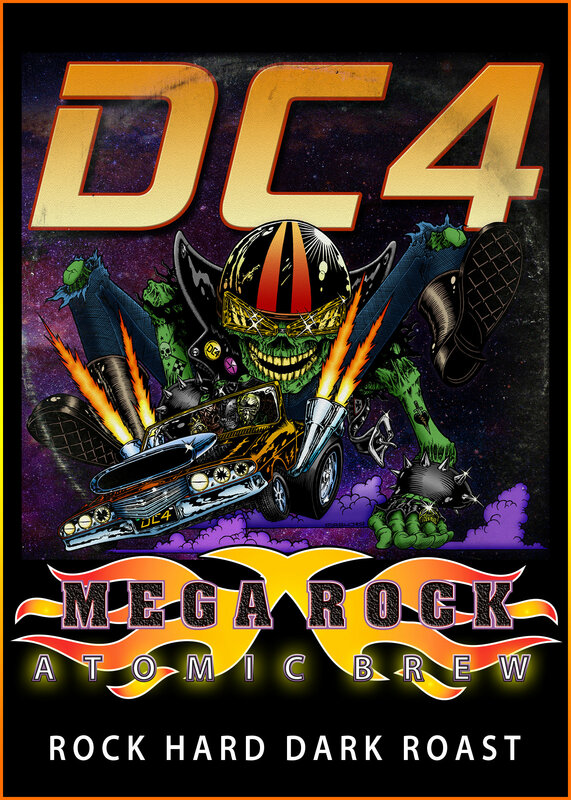 The new signature artist coffee blend DC4 'Megarock Atomic Brew'. A rock hard dark roasted, full-bodied, flavorful coffee. 'It's Atomic'!